Today I would like to show you a super long scroll painting I completed in 1994, some 23 years ago! This particular scroll is an absolute one-off - it is 6m long by 42cm in width! By this time, I had already been painting peonies for more than 30 year, so I used this painting to showcase the techniques and style I have developed over the years. For the peonies, I mixed powder paint with water - this enabled me to depict the delicate and translucent nature of the petals, which were then finely outlined. This is based on classic Lingnan style, but with my own twist. 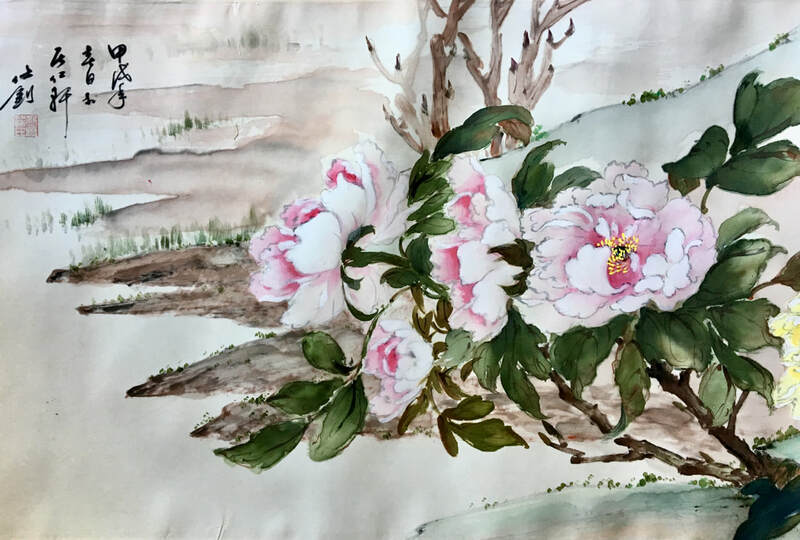 I have included 10 types of peonies here, some depicted growing among cliff boulders, and some growing on river beds next to meandering waterfalls. Enjoy! If you're interested in purchasing any of my works, please don't hesitate to send me a message. 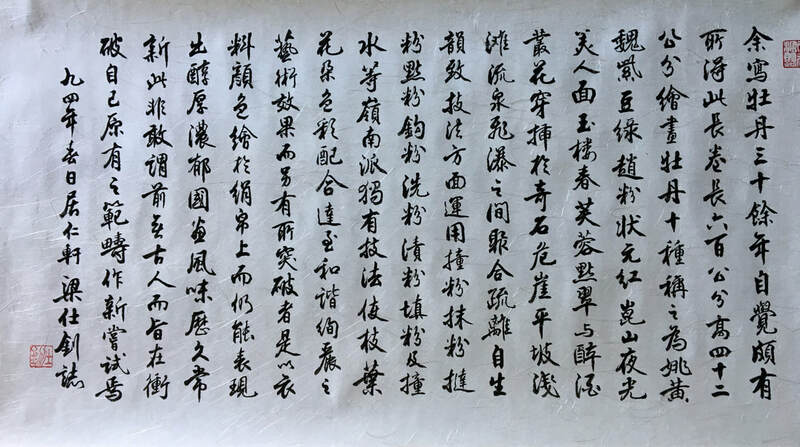 I have a passion for Chinese poetry, whether they originate from an ancient era (eg. Sung and Tang Dynasties) or are of a more modern genre. Their brilliance lies in their ability to evoke different moods and emotions. 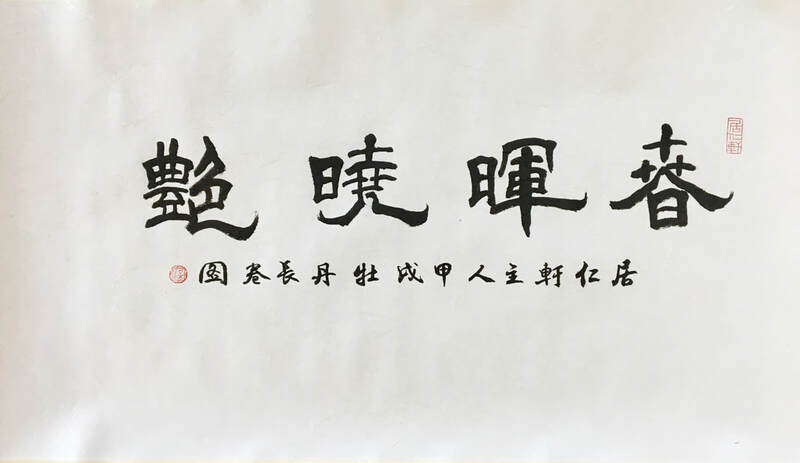 As a result, they lend themselves well as the subject of my calligraphy, which of course is an important part of my repertoire. Here are some examples that I want to share with you today.